Linda M. Dodick graduated from The Wagner College Staten Island University Hospital P.A. program. She has also obtained her master’s degree in P.A. 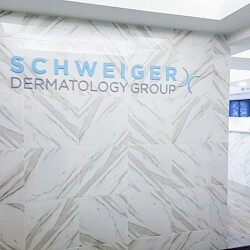 studies in dermatology. Mrs. Dodick has built her specialty expertise by working closely with a board-certified dermatologist, attending conferences in dermatology sponsored by the American Academy of Dermatology, and maintaining 100 hours of continuing medical education (CME) every two years. She must also pass a national recertification examination every six years.